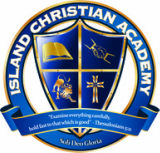 Every year ICA students engage in a variety of activities and events. The buttons below will link you to more information about participants, winners, and photos. For more information about upcoming events and events not listed here, please visit our ICA NEWS page.